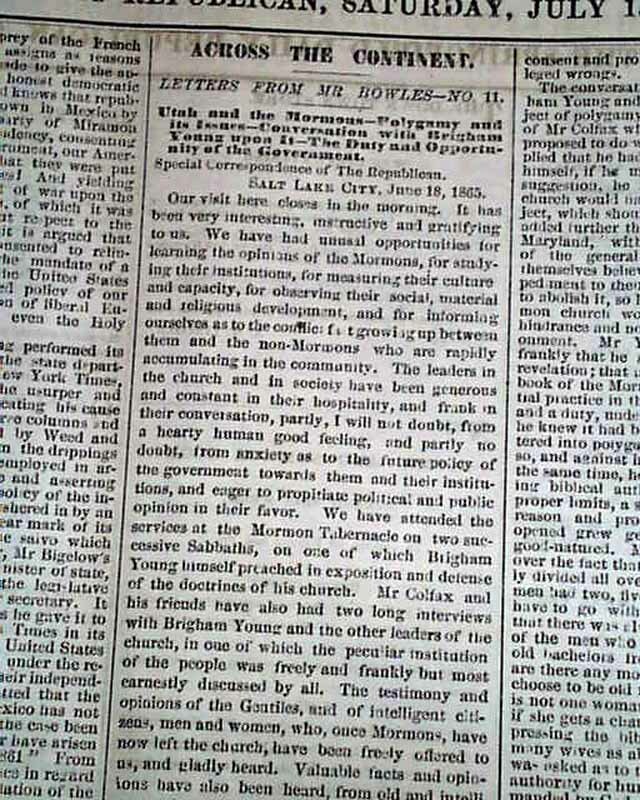 Page 4 has 1 1/2 columns taken up with a portion of the Samuel Bowles book: "ACROSS THE CONTINENT" "Letters From Mr. Bowles--No. 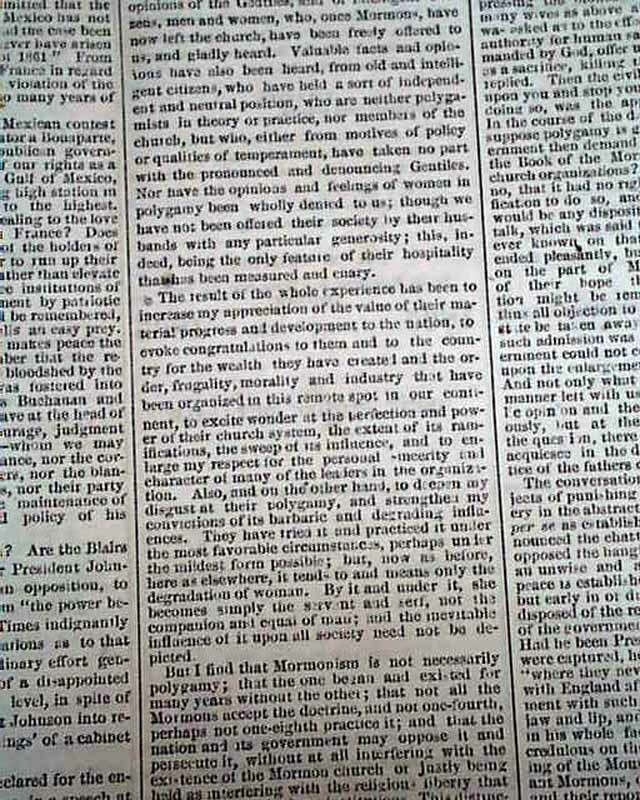 11" "Utah & the Mormons--Polygamy and its Issues--Conversation with Brigham Young Upon It--The Duty & Opportunity of the Government" with a dateline of Salt Lake City, June 18, 1865 (see for beginning). 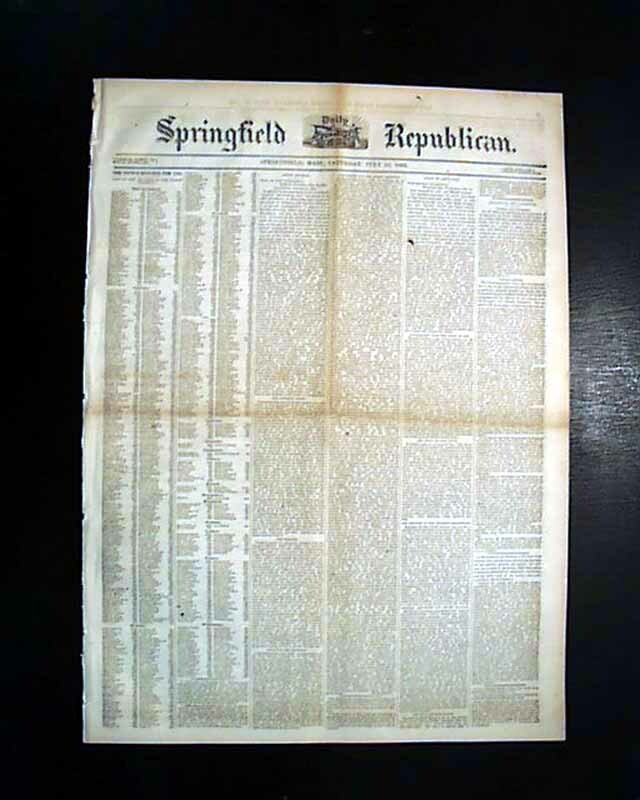 Page 2 has: "Execution of the Assassins". 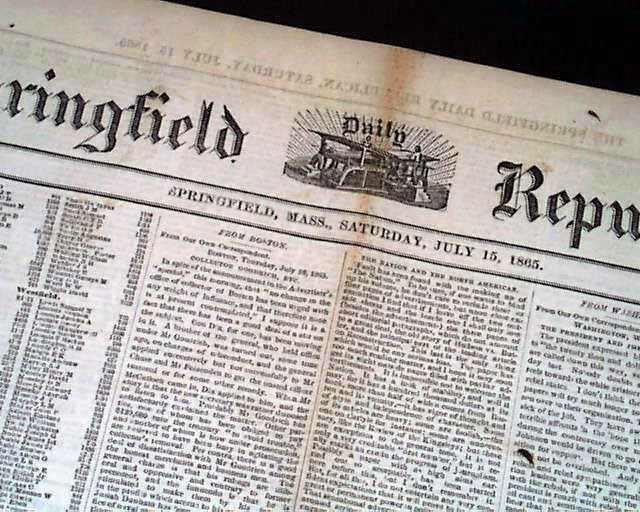 Samuel Bowles was the publisher of this newspaper so this may be the only newspaper in which this serialized work appeared. It would ultimately be published as a book titled "Across the Continent" and he would later publish another: "The Switzerland of America" (see hyperlink for more on him).